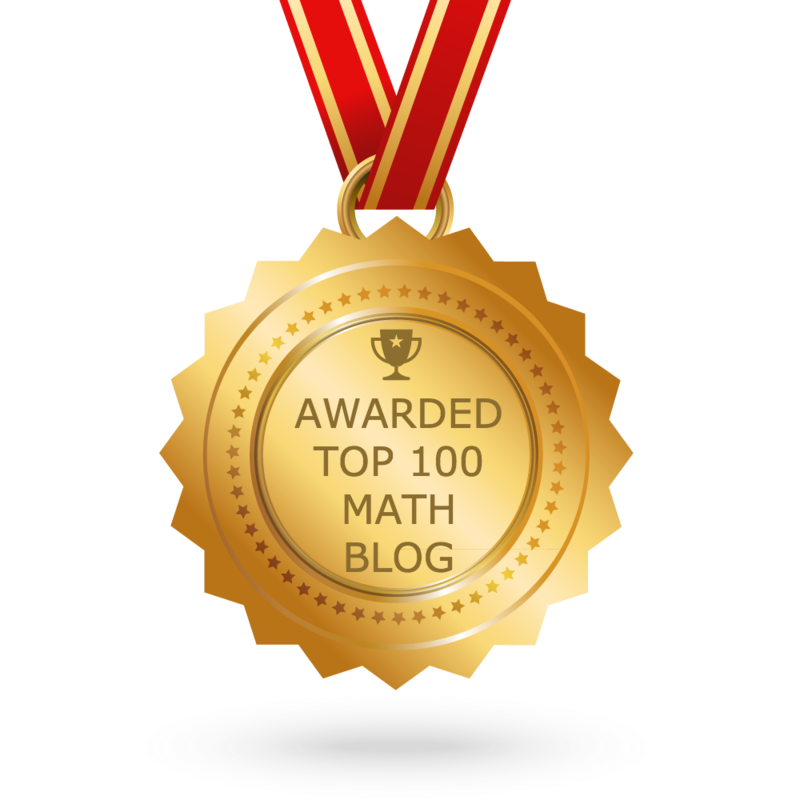 "Multiplication tricks" is the stuff much needed to the children who study math in schools. First take the digit at ten's place of two digit number and multiply it by the given single digit number. Add "zero" at the end of step1 value. 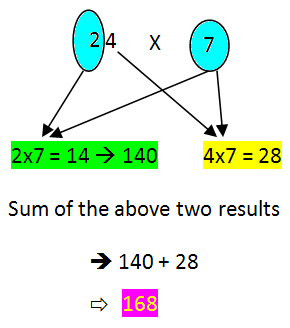 Multiply the unit digit of two digit number and the given single digit number. 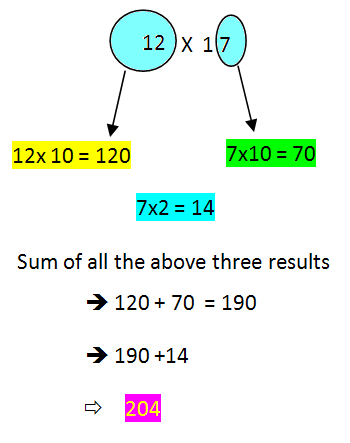 Add step 2 and step 3 values and you will get the answer. 34 x 8 = ? 49 x 7 = ? 67 x 4 = ? 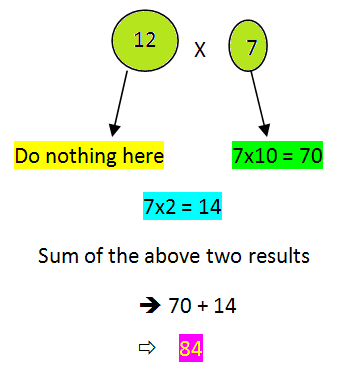 To use these multiplication tricks, you must have much practice on these. Otherwise, the shortcuts explained above will not work properly and you may not be able to get correct answer. So, please do much practice on these shortcuts using different numbers. 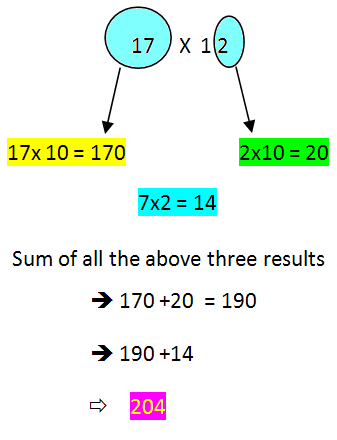 Apart from this "multiplication tricks", to know more about other math shortcuts, please click on the links given below.